Over the past year, the fixed-income market in Iceland has faced some tribulations. Foreign investors still face restrictions on fixed-income investing – restrictions that have nearly wiped out demand from foreign investors since their introduction in June 2016. Domestic pension funds, meanwhile, have been focused on issuing loans to pension fund members and diversifying risk by investing internationally. Consequently, turnover in the market has decreased by around 16 percent from the end of 2016 through 2017. Market players are hoping that current restrictions on foreign fixed-income investment will be levitated (probably in steps), increasing demand in the coming months. Anna Kristjánsdóttir, Head of Fixed Income at Stefnir Asset Management, Iceland’s largest fund management company, spoke to World Finance about the current state of the market and the opportunities it presents. 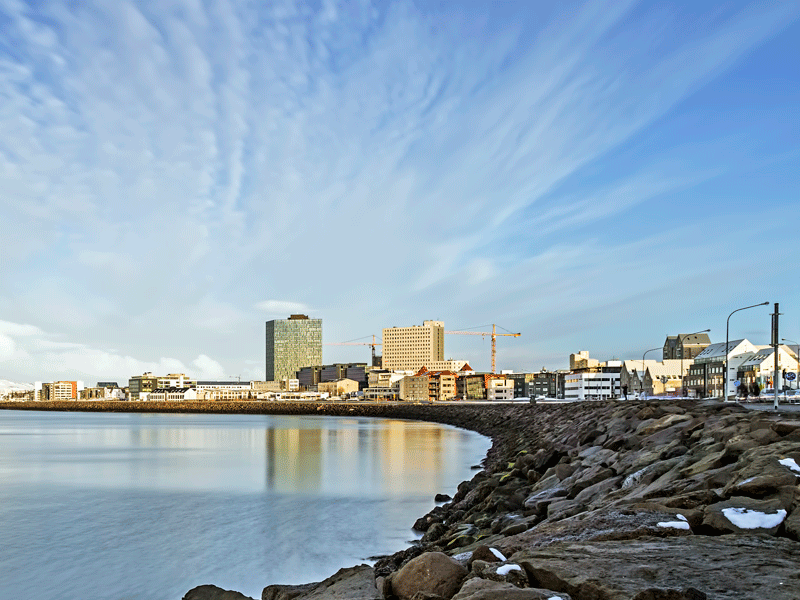 What opportunities currently exist in Iceland’s fixed-income market? Abolishing the current restrictions on foreign investment in domestic fixed income could be a major game-changer in the market for foreign and domestic companies alike, the latter of which have seen credit spread rise due to a shortage of funding in Icelandic debt markets. With increased interest from a wider audience, debt terms for domestic companies should benefit from a more favourable yield. How important is innovation in the market, and how does Stefnir continue to innovate? A shifting investment environment requires Stefnir’s experts to be ready to respond to investors’ varying focuses by offering new investment options. That’s why we set up a new investment fund, the Stefnir Savings Fund, in 2017. Investing in deposits, commercial papers and shorter duration bonds, the new fund has gathered considerable client interest, attracting a total investment of ISK 6.7bn ($62.7m). The demand for doing business online and through digital channels is also accelerating. During the past year, Arion Bank, Stefnir’s main distributor of funds, has made it easier for customers to trade with Stefnir funds. Meanwhile, a new feature on the Arion online banking platform enables unit holders to keep track of investment returns and transactions – all of which can be performed very easily. The Arion app, voted the best banking app in Iceland, also provides a complete overview of securities portfolios. Continued development and innovation in this area will be a priority in the near future. Why is transparency an important issue in the Icelandic investment market? After the public in Iceland experienced a total loss of faith in the financial system, it was a challenge rebuilding trust. Stefnir identified that transparency and detailed information on fund investments and data was key to regaining trust and building future relationships. As such, Stefnir has placed great importance on offering its clients competitive and responsible investment options in virtually all asset classes. Essentially, it is vital that the company is able to pass on information accurately and simply to investors. The company’s website performs an important role in this respect by displaying detailed information on all the Stefnir funds that are available to the public. Likewise, Stefnir is an advocate of transparency and good corporate governance, publicly participating in debates and sponsoring conferences to increase awareness of the responsibility present at all levels of the financial system. The company also publishes a corporate governance statement on its website every year, describing its activities and its focuses for the near term. What new challenges does the industry face? Stefnir has experienced significant long-term growth in assets under management, which is vital to achieving economies of scale and operational efficiencies. However, margin squeezes, technological developments and legal requirements pose challenges to the industry, and Stefnir is not exempt from these challenges. Changing customer behaviour – namely growing demands for digital channels and access to information on investments and funds – will continue to disrupt the market. What role will investment funds play in the market moving forward? Investment funds and asset managers will continue to play a vital role in generating returns on investment, and our involvement in niche areas that are difficult for smaller investors or the public to approach will increase as part of our product development and supply of new investment options. That said, demand for passive investment vehicles continues; fortunately, Stefnir has the capability to supply the building blocks for a diversified portfolio of investments that adhere to the different risk appetites of its customers. Stefnir is constantly seeking opportunities to present to investors, whether they are institutional or private. Several projects are well underway within the fixed-income team that tie together our expertise and access to debt for restructuring, which suits our investors well. These products provide a high level of service, and achieve results by utilising our economies of scale to the benefit of our customers.